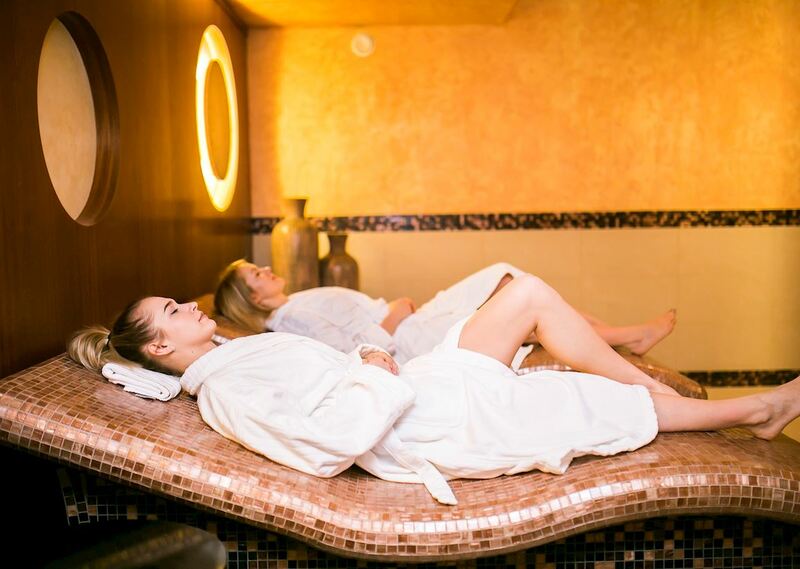 Unwind at relaxing Sheraton Sopot Spa. The Spa offers an extensive sensory experience, a diverse range of treatments and relaxing area featuring swimming pool, Jacuzzi, saunas, Rasul, steam rooms and more. It is your spot where You can experience a body-mind-soul balance by the deep relaxation and stress relief time. Unique anti-aging ceremony which fights all types of wrinkles and loss of firmness and elasticity, improves skin color, models the natural shape of a face and prevents the formation of new wrinkles. Spa Experience access included in price. An aromatic, moisturising and smoothing ritual for all types of dehydrated skin - dry, oily and combination skin showing signs of dryness: small wrinkles, loss of elasticity, discomfort and tightness. This treatment stimulates dermis, restores its ability to produce lipids. Spa Experience included. Dermalogica treatments are individually composed for each client in terms of the skin needs. The basis of therapy is consulting and professional facial analysis - Face Mapping® that divides the face into 14 distinct zones, each with its own set of potential problems and unique needs. An embracing treatment for sensitive, reactive skin suffering from vascular problems, which minimalizes redness, has soothing effect and increases tolerance threshold of delicate skin. A unique technique of drainage performed with brushed shall bring you a blissful relaxation. Scrub, relaxing face massage and the mask selected specially to match the needs of your skin that will accordingly moisturize, soothe, cleanse or regenerate skin. An intensive brightening ritual which restores a healthy and radiant skin appearance. Especially recommended for a grey and tired skin. This is a perfect treatment for special occasions and before ‘the Big Night Out' (banquet treatment). Remove multiple eye area concerns like dark circles, puffiness, wrinkles, loss of volume and firmness with the advanced Dermalogica treatment designed to rehydrate, smooth lines and boost new collagen while improving overall firmness and tone, all in just half an hour! An eye area comprehensive moisturising and anti-wrinkle treatment with use of modern active ingredients. A true programme of eye area care providing comprehensive solutions which sooths eye irritation, moisturises delicate epidermis, reduces ‘bags under the eyes', by strengthening microcirculation, and smooths mimic wrinkles. Firming and modelling treatment intended for skin which needs firming and greater elasticity. It is recommended after and during a slimming diet, after confinement and for damaged skin. The treatment immediately helps even the most limp skin to regain firmness by making it tense and smooth. This treatment helps to shape body and regenerate and strengthen skin. Treatment restores skin firmness, accelerates fat burning and provides unforgettable sensory experience. In this treatment our Spa Experience is included in the price. A very relaxing ritual dedicated for very demanding skin; it gives you wonderful moments of bliss. It wraps the skin with an algae-based compound, olive oil extract and sea minerals, reduces stress and discomfort and restores proper level of moisture. A peeling in the form of sorbet cleans dead cells off the skin, whereas a relaxing and soothing delicate massage with sea minerals and vitamin E provides firmness, softness and suppleness to even the most dry and sensitive skin. The mask, like a protective plaster, nourishes and regenerates the skin, making it wonderfully soft, smooth and perfectly moisturised. Beautifying, moisturising and energising treatment. 3 scrubs on the basis of exceptional ingredients ensure new impressions and pleasure, and at the same time full skin regeneration and blissful relaxation. An intensive, nourishing and smoothing treatment for dry and very dry skin. This is an ideal procedure for skin which needs a thorough renewal, moisturising, smoothness and radiance. The treatment restores body harmony, relieves anxiety and tension. Superb and unique massage created by our experienced group of Sheraton Sopot therapists. This signature massage treatment combines swedish massage and Far East techniques with deep stretches designed to release tensions and promote deep relaxation. Sheraton Signature Full­ Body. Massage includes access to Spa Experience Zone. Holistic aromatherapy massage, combining acupressure points and massage techniques tailored to individual body needs. Intimate connection with body, mind and soul. Signature "Top to Toe" massage includes access to Spa Experience Zone. Heated basalt stones and essential oils are used to massage the whole body. Relieving stress at the deepest level this intensive treatment is designed to work on the body's energy channels, holistically treating mind, body and spirit. This intense therapeutic massage uses deep, deliberate strokes to separate and lengthen your muscle fibers. Great for muscular tension and spasms due to athletic activities, stress or overwork. Back, shoulder and head massage - 40 mins 220 PLN. A relaxing and unwinding massage for future mothers. Helps to treat muscular aches, relieves stress and fatigue as well as the feeling of heavy legs. The massage is performed using oils and techniques safe for mother and baby. Massage should not be performed in the first trimester. Deeply relaxing back massage which effectively releases muscular tension around the neck and back. It is followed by a head massage that takes away physical and mental stress. This signature massage is a deeply relaxing treatment that naturally rejuvenates the face, releasing muscle tension, working on expression lines and improving the condition and tone of your skin. A special care treatment for the hands and nails which restores the skin's softness and consists in gentle exfoliation and immersing the hands in a luxurious bath with the addition of products from the Southern seas. Cuticles and nails are nourished and massaged with warm essential oils and a conditioning, creamy kaolin mask smooths and protects the skin. Individually selected nail polish ensures perfect finishing touch. French manicure is a classic adornment which ranks among the most frequently chosen by women. Feel elegant and natural at the same time. During your manicure the therapist will shape your nails and file them to the correct length. They will then carefully push back and trim your cuticles,to give a neat appearance. Before applying nail polish the therapist may also give you a hand massage or apply a nourishing mask ­just the kind of tender love and care that tired hands need. During your manicure the therapist will shape your nails and file them to the correct length. They will then carefully push back and trim your cuticles to give a neat appearance. Before applying nail polish, the manicurist may also give you a hand massage or apply a nourishing mask - just the kind of tender love and care that tired hands need. A special care treatment for the feet and nails which restores the skin's softness and consists in gentle exfoliation and immersing the feet in a luxurious bath with the addition of products from the Southern seas. Cuticles and nails are nourished and massaged with warm essential oils and a conditioning, creamy kaolin mask smooths and protects the skin. Individually selected nail polish ensures perfect finishing touch. French pedicure is a classic adornment which ranks among the most frequently chosen by women. A pampering pedicure will soften your skin and nourish your nails leaving your toes in tip top condition. Your therapist will begin by giving you a relaxing foot soak designed to soothe your feet and leave them super soft. They will then carefully file off any dead or hard skin from your soles leaving them looking and feeling as good as new. Give those toes a treat! A pampering pedicure will soften your skin and nourish your nails leaving your toes in tip top condition. Pedicures last for differing lengths of time and can incorporate a variety of different treatments. Your therapist will begin by giving you a relaxing foot soak designed to soothe your feet and leave them super soft. They will then carefully file off any dead or hard skin from your soles leaving them looking and feeling as good as new. Savour quality time within our deluxe Couple Suite. Bath together in our couples aromatherapy oil infused hydrotherapy bath. Next step is an invigorating mineral salt and oil exfoliation cleansed away in the couple's shower. For the ultimate relaxation your therapists will perform a full body massage using hot stones. We allow you to use an additional time for the suite's changing facilities and to relax for a short while with an herbal infusion by the fire following your head to toe treatments. We recommend that you visit the Spa Experience at least for an hour prior to starting your spa journey. Single access to Spa Experience for guests who book Spa Journeys is included in the Spa Package. Couples Indulgence includes: Spa Experience + Foot ritual + Couples bath + Full body exfoliation + Full body hot stones massage - Price is per person. It is possible to extend your stay in the couple suite up to 3 hours ­660 PLN/per person. Together discover the relaxing advanatages of Moroccan clays that you apply onto your bodies. The gentle Rasul steam room will envelop you in an aromatherapeutic scent bouquet. The ritual ends with a "tropical rainforest shower" to refresh your skin and wash away the muds. After you take a bath together in our remarkable Couple Suite, this sensual ritual is completed with an excellent full body massage. We recommend that you visit the Spa Experience at least for an hour prior to starting your spa journey. Single access to Spa Experience for guests who book Spa Journeys is included in the spa package. Couples Eastern Treat includes: Spa Experience + Foot ritual + Shared Rasul + Couples bath + Sheraton Signature Full Body Massage - Price is per person. A deep cleansing, skin smoothing facial that treats all skin concerns. Combined with a contour softening face and scalp massage this treatment leaves your skin glowing and your mind relaxed. This intense therapeutic massage uses deep, deliberate strokes to separate and lengthen your muscle fibres. Great for muscular tension and spasms due to athletic activities, stress or overwork. A relaxing full body Massage that uses light to medium pressure & smooth sweeping strokes to relieve tension, restore energy & create a sense of well being. Available 25 mins massage (180 PLN). A nourishing and conditioning foot and nail treatment that begins with a mineral enriched footbath and exfoliation ideal for softening hard skin. Warmed aromatic oils and active serums are applied and feet are enveloped with a kaolin mask. A rich cream massage relieves tension, nourishes and repairs the skin (nail polish or painting not included). Well groomed hands and nails put the finishing touch to a successful men's appearance. This hand and nails treatment includes gentle exfoliation and a luxurious southern sea ocean hand bath. Cuticles and nails are nourished and massaged with warmed aromatic oils and a rich, creamy Kaolin mask is used to refine and protect the skin (nail polish or painting not included). Sheraton Sopot Spa The Spa at Sheraton Sopot is an intimate, indulgent environment featuring diverse range of treatments, magnificent facilities and excellent service. 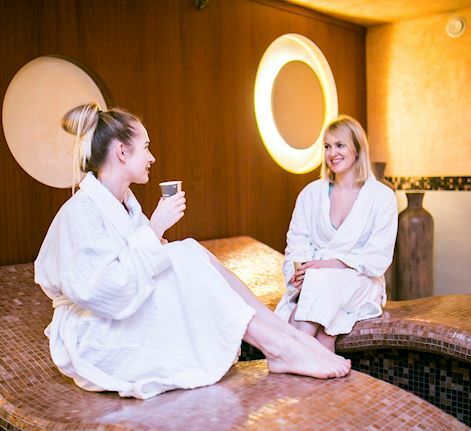 The Spa boasts a stunning collection of 11 private treatment rooms including a couple room, Rasul room, Spa Experience wellness zone with saunas, jacuzzi steam rooms, and a fireplace to relax after long day. The spa presents the world's finest skincare products by Dermologica and Ella Bache. Sheraton Fitness Sheraton Fitness is a high-quality exercise facility that features Technogym® equipment and group of personal trainers, and fitness group classes. Modern running and cycling machines, steppers and elliptical machines are at your disposal, in order to stay in the best shape. 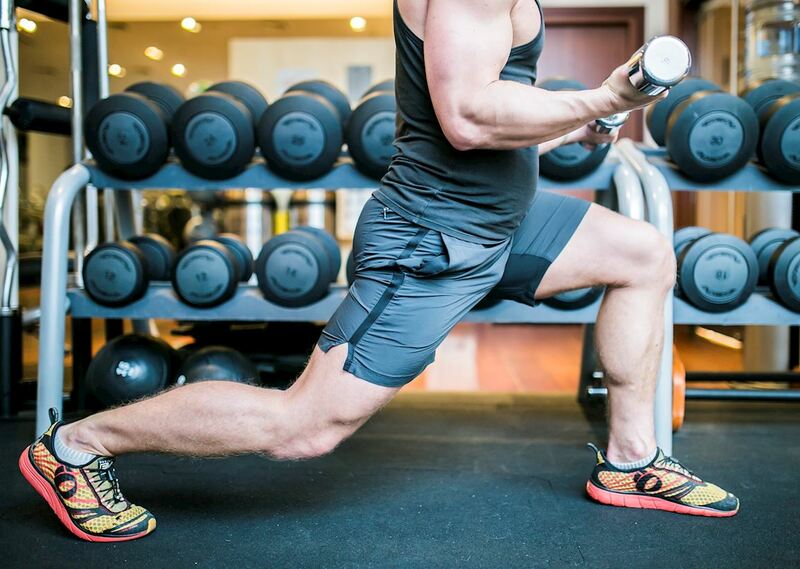 After the workout we invite you to the Spa Experience wellness zone to find the right balance between body and soul. We offer also a wide range of massages, which depending on your needs, will give you the energy you need and make your body relaxed.